Can anyone tell me if British Military Vehicles used in this country during WW2 had to show Bridge Weight Plates, or was it just abroard ? If it's any help, my WOT2 truck was fitted with a Bridge Plate by Ford before it left the factory in 1943. I have an IWM photo of a brand new WOT2 (same contract as mine) at Dagenham with a Bridge plate fitted. I also have photos of WOA2 cars and they all have bridge plates fitted. Please note that all the bridge plates are blank yellow and seemed to have had the number painted on by the unit it was issued to. So what would be the correct number(s)-markings for a jeep and trailer? Thanks for the info, just one stupid question which I shall kick myself when you tell me..but what does 3/2 donate in old money? Is it weight 3 tons and 2 tons? as that seems very heavy indeed....stop laughing at the back, I have issues! Bridge plates are the total weight of the vehicle plus total load in American tons (yes even for British Vehicles) rounded up to the nearest ton. The 3-2 weight would be the weight in tons (3) of a Jeep plus trailer plus load and the (2) is the weight of the Jeep plus load. The 3 would be above the 2 and all vehicles that normally towed a load, such as Field Artillery Tractor, would be thus marked. There was an official booklet issued to give the correct weight, but in practice it seems to be whatever the Officer said it should be. To give you some idea, a WOT2 is 4592 pounds plus 1680 pounds load, which is 6272 pounds total weight. In American tons this is 3 tons 272 pounds, which rounds up to 4 tons. Ford WOT2 trucks in WW2 had a Bridge plate of 3 or 5, according to original photos. 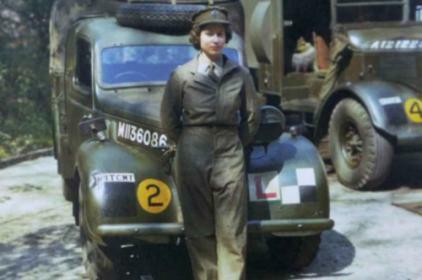 This information is for Wartime vehicles. I don't know if this was changed post-war. Can anyone else help here? I don't know if this was changed post-war. Can anyone else help here? Robert this is the history of bridge classification over the years that I have pieced together from official documents. “Foot-bridges”- Infantry in single file. “Pack-bridges” - Infantry in single file, cavalry in single file, pack animal transport. artillery, 3-ton lorries & all ordinary MT up to 5½-ton axle load. “Heavy bridges” – Heavy artillery, tractors & MT up to 16-ton axle load, tanks up to 18 tons. “Super-heavy bridges” – Axle loads & tanks in excess of above loads. “Assault”- Infantry in single file. “Pack” - Infantry in single file, cavalry in single file, pack animal transport. 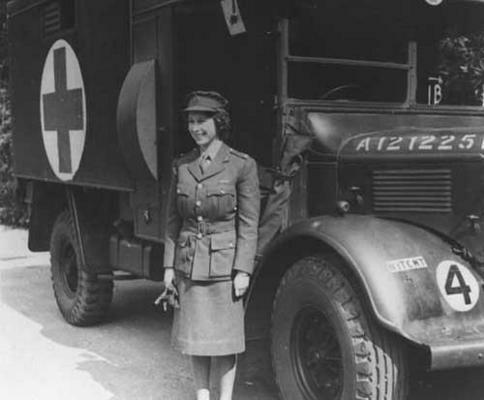 horsed transport, horse & field artillery, cars, ambulances, lorries & AFVs max 4½-ton weight. axle load 3.6 tons or a rear bogie of 7.2 tons. bogie load of 16.5 tons, tracked vehicles with sprung tracks up to 19.25 tons, provided track bearing length is not less than 13 feet. By 1939 all bridges where classed according to the maximum weight of a vehicle in tons giving the following Classes 5, 9, 12, 18 or 24. It should be noted that bridges classes apply not just to fixed bridges but to pontoons bridges as well. 5, 9, 12, 18, 24, 48, 50, 60, 70. The bridge load classification was said to originally have represented by the rounded up weight of the vehicle in tons. "The new system relates to the characteristics of the vehicle which includes overall weight, number of axles, distance between axles, axle load (unladen & laden), tyre size, ground clearance etc and bears no direct relationship to the former system." It must be remembered that is a STANAG, which is a NATO Standard applicable to many countries. The UK had already taken some account of factors other than weight. What changed in the U.K. was that the mechanism for calculating a figure was more comprehensive and now standardised with other NATO countries. The classification of bridges was also changed to take account of the effects that particular vehicles would have on the bridge. However the application of the system is the same as before, in that only a vehicle load class less or equal to the bridge load class number may cross the bridge. The load class number is based on vehicles travelling at normal convoy speeds at a spacing of 100 feet. The classification also relates to ferries, and takes into account an assessment of the state of the approaches to the crossing to produce an overall classification. 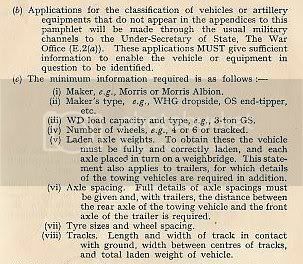 There was no point in UK based vehicles having a Bridge Class displayed, as the Joint Service Road Transport Regulations JSP 341 states that: The UK will not prepare classification signs for civilian bridges and ferries in UK territory in peacetime. To add to Clive's informative post, I am sure that on an official publication somewhere i have seen that cars and other light vehicles under the lowest bridge rating (5 tons) had no requirement to show a figure, although they were fitted with plates. will have to try and find where this was stated. Yes Bridge Plates were used in the UK. This is the manual you need. Bridge Classification of Vehicles & Mechanical Equipment 1945 marked Confidential,[ATTACH=CONFIG]52062[/ATTACH][ATTACH=CONFIG]52060[/ATTACH][ATTACH=CONFIG]52063[/ATTACH][ATTACH=CONFIG]52064[/ATTACH][ATTACH=CONFIG]52065[/ATTACH][ATTACH=CONFIG]52066[/ATTACH] it has 55 pages of info for most types of Vehs / Tanks Ect. Here are just a few pages. Original Manual from my collection. This page has Cdn Vehs. click on photos to enlarge. The bridge class is on the far right of the pages. Photos of bridge plates in the UK. SuCoe, & Austin with the odd bridge plate. last photo with 2 bridge plate.. photos from my collection. Keith excellent thank you for posting that which is a missing link. I have repeatedly been told over the years by people who know about this era that in WW2 the maximum weight of the vehicle rounded up equated to its Bridge Classification. Yet I knew in the immediate postwar period a more sophisticated calculation was required. But here it is, proof that in WW2 this method of allocating a Bridge Classification was already in place & was not just a weight issue. Here are two more manuals that may be of help, from my collection. 1st one. Operations part 1 Supplement October 1939 has a little info on bridge plates. 2nd manual 1944 Mechanized Movement by road, has a lot of good info on convoys. This pic taken in East Anglia shows a USAAF 1 1/2T Chev truck, showing that when it came to bridge plates the USAAF were compliant. Heres one I found, your'll recognise the young Lady. Aparently the young lady loathed the K2. Thought they were gashtly things to drive. Having just come across this thread when looking for something else. I will see if I still have the book with the info in.